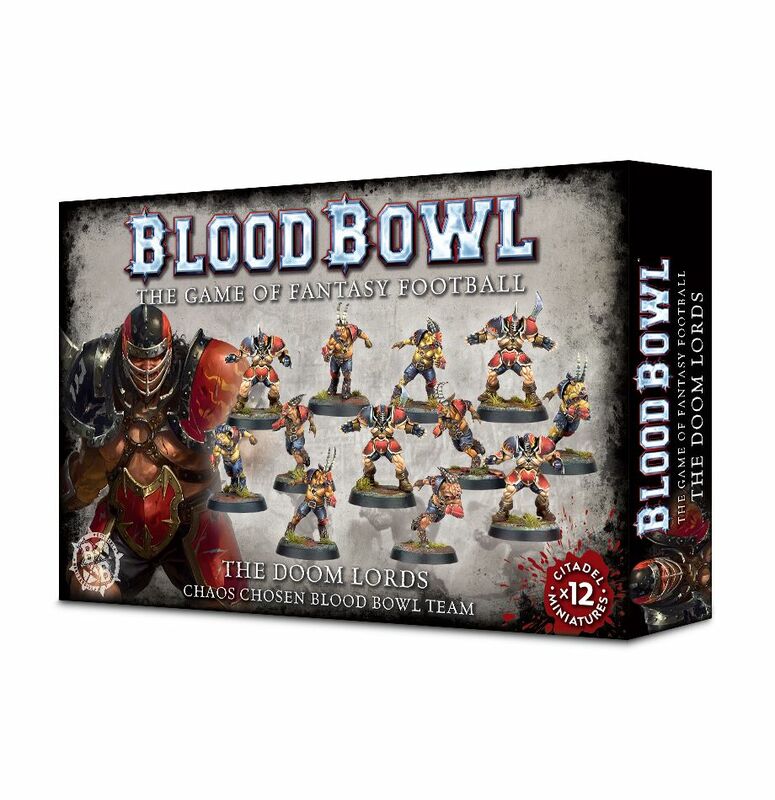 This multi-part plastic kit contains the components needed to assemble The Doom Lords, a Chaos Chosen Blood Bowl team. 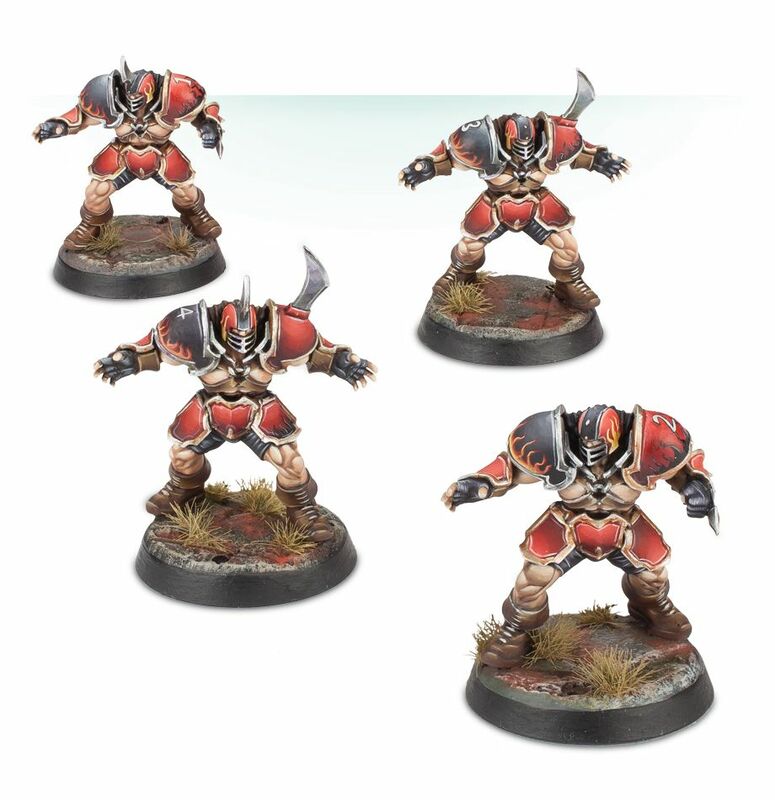 The team consists of 4 Chaos Blockers and 8 Beastmen â each Beastmanâs head is interchangeable, meaning your team can represent a unique fielding of horned aberrations! 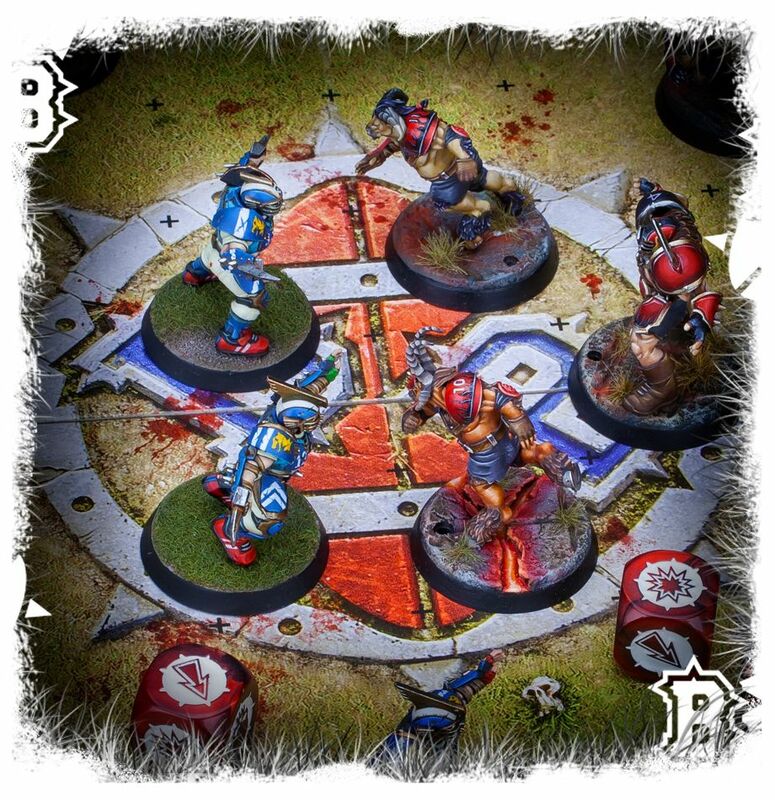 The Blockersâ heads are interchangeable amongst themselves, too. 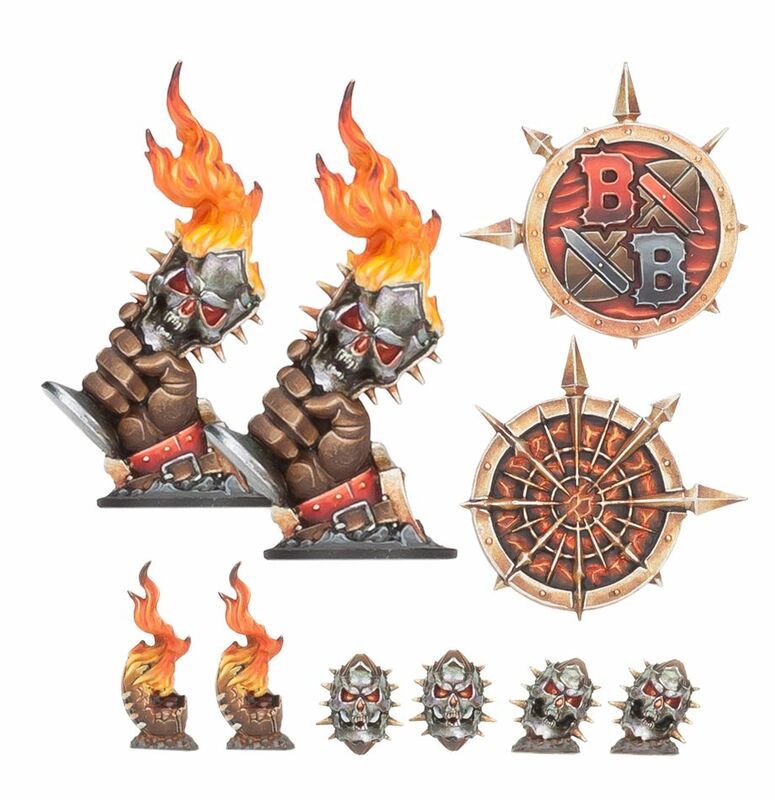 There are a host of extras in the kit â 2 turn markers, 2 double-sided score coins in the shape of Chaos stars and 6 balls â 2 each of a flaming ball, a skull ball and another skull ball, these lacking pegs. 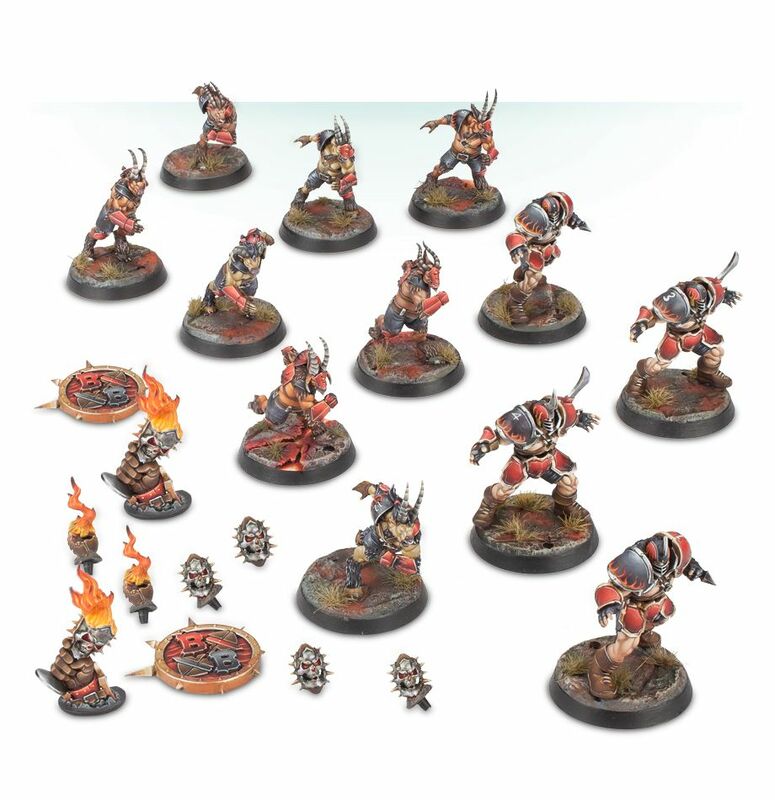 Supplied with 12 32mm Blood Bowl bases, a 1,000,000 GP roster and an Chaos transfer sheet. Submitted by Miniset on 28 April, 2018 - 14:35 (286592).